The latest look for gardens! 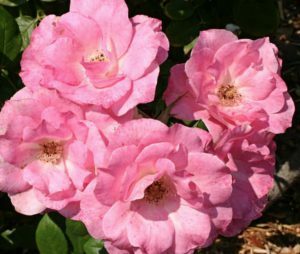 Discover the 2005 AARS winner and experience the strong fragrance and high centered blooms of this Hybrid Tea. Light pink, orange-pink reverse. Strong, citrus, spice fragrance. 50 to 55 petals. Average diameter 5″. 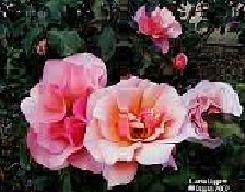 Large, very full (41+ petals), borne mostly solitary, high-centered bloom form. Blooms in flushes throughout the season. Pointed, ovoid buds. Short, bushy, compact. Large, glossy, dark green foliage. Height of 3′ to 5′ (90 to 150 cm). Easy Does It is 2010’s only AARS winner! 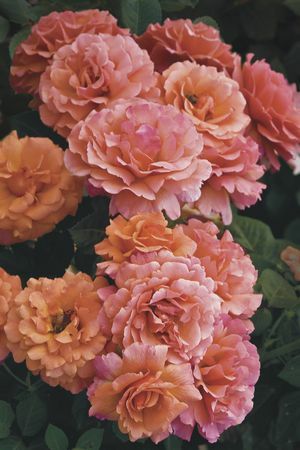 The scalloped ruffled petals of this orangey-apricot flower create a unique picture of this Floribunda. Orange-pink. Flowers mango orange suffusing to pink. Moderate, fruity fragrance. Average diameter 4″. 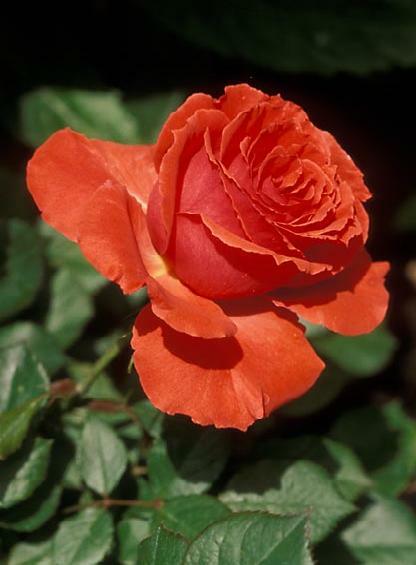 Large, full (26-40 petals), cluster-flowered, in small clusters, scalloped bloom form. Continuous (perpetual) bloom throughout the season. Medium, bushy, rounded, upright. Medium, glossy, light green foliage. Height of 3′ to 4′ (90 to 120 cm). Red and white, red edges. Strong, spice fragrance. up to 30 petals. Average diameter 5″. Very large, very double, high-centered bloom form. Blooms in flushes throughout the season. Height of 3′ to 5′ (90 to 150 cm). Width of 2′ to 5′ (60 to 150 cm). 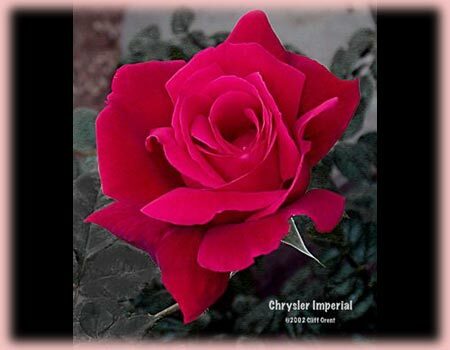 Black-red buds spiral open to show off swirls of cream edged, vibrant cherry pink blooms. 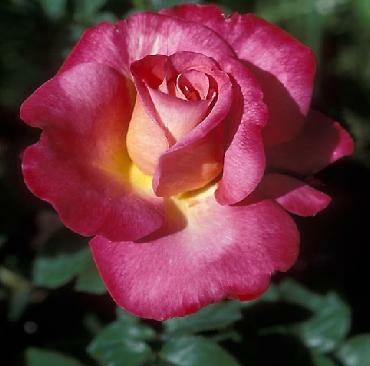 This rose will give you hours of pleasure as it goes through its many color changes! As the rose ages it begins to blush burgundy finishing a deep dark red. Excellent for cutting! Cream, pink edges, ages to dark red . Moderate, cinnamon, spice fragrance. 30 petals. Average diameter 4.5″. 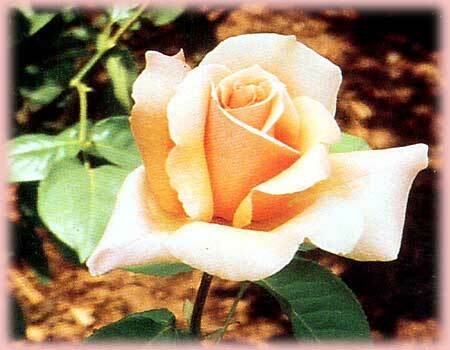 Medium, full (26-40 petals), borne mostly solitary, classic hybrid tea bloom form. Blooms in flushes throughout the season. Long, pointed buds. Tall, bushy, upright. Large, glossy, dark green foliage. Height of 5′ to 5′ (150 to 165 cm). Width of 3′ to 4′ (90 to 120 cm). Yellow and pink. Strong, tea fragrance. 26 to 40 petals. Average diameter 4″. 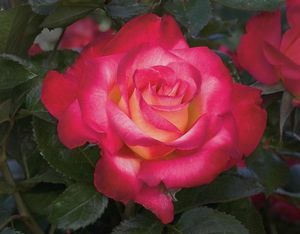 Medium, double (17-25 petals), full (26-40 petals), in small clusters, exhibition bloom form. Continuous (perpetual) bloom throughout the season. Height of 3′ to 5′ (90 to 150 cm). Width of 3′ (90 cm). Dark red. Mild, sweet fragrance. 25 to 30 petals. Average diameter 4″. 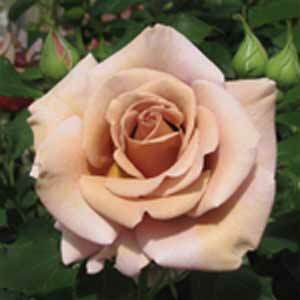 Large, very double, borne mostly solitary, in small clusters, high-centered bloom form. Continuous (perpetual) bloom throughout the season. Medium, long, pointed, ovoid buds. Glossy, leathery foliage. 5 leaflets. Height of 3′ to 4′ (90 to 135 cm). Width of 3′ (90 cm). Large pointed buds open to show off shades of peach, coral and salmon. As the blooms age they turn into deeper tones of orange, scarlet and burgundy. Coral, salmon-orange blending, peach blending, ages to darker . Mild, fruity fragrance. 30 petals. Average diameter 5″. 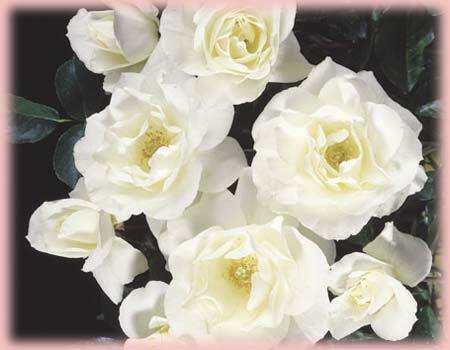 Very large, full (26-40 petals), cluster-flowered, in small clusters, spiral centers bloom form. Blooms in flushes throughout the season. Pointed buds. Height of 4′ to 4′ (120 to 135 cm). Dark red. Strong fragrance. 45 to 50 petals. Average diameter 5″. 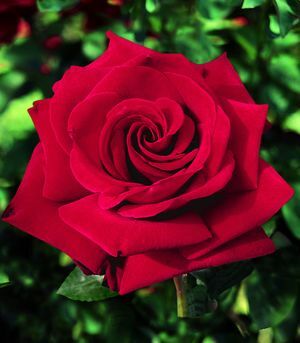 Very large, full (26-40 petals), exhibition, high-centered bloom form. Blooms in flushes throughout the season. Long, pointed buds. Compact. Semi-glossy, dark green foliage. Height of 30″ to 6′ (75 to 185 cm). Width of 2′ to 4′ (60 to 120 cm). Deep yellow. Strong, fruity, spice, sweet fragrance. Average diameter 4″. 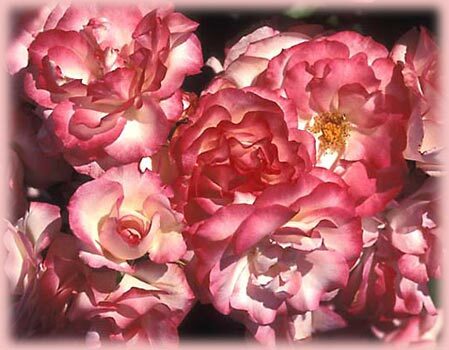 Medium-large, full (26-40 petals), cluster-flowered, in large clusters bloom form. Blooms in flushes throughout the season. Long buds. Height of 5′ to 6′ 7″ (175 to 200 cm). A favorite, covers itself with clusters of tiny pink blooms. Produces perfectly shaped, little pink buds. 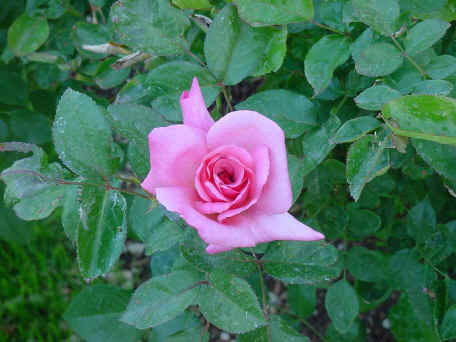 Hence its nickname, The Sweetheart Rose. Blooms from mid-spring until first frost. 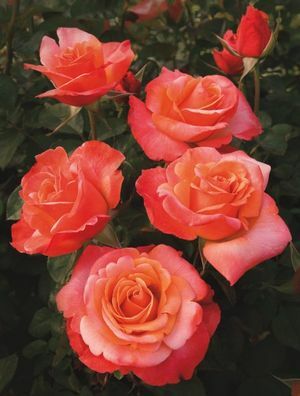 A compact bush, displaying sprays of lightly fragrant flowers that look like little, high-centered hybrid tea blossoms of 17-25 petals. Long-lived and healthy, Ccile Brnner takes abuse, putting up with everything from poor soil to partial shade. Pink, light pink edges, yellow undertones. Moderate fragrance. 30 petals. Average diameter 2.5″. Small, double (17-25 petals), in large clusters bloom form. Continuous (perpetual) bloom throughout the season. Height of 2′ to 4′ (60 to 120 cm). Width of 2′ (60 cm). The 2009 AARS Winner. 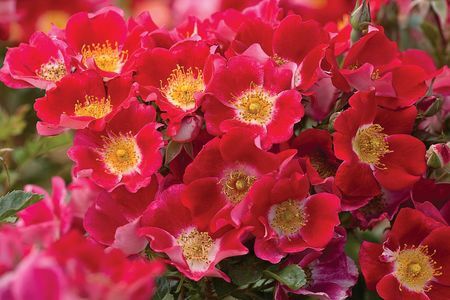 Finally a true red, hardy shrub rose! An offspring of our popular winner ‘Carefree Delight®’, Meilland hybridized an even better landscape plant that keeps the great foliage of its parent and adds more disease resistance, as well as having an even better plant habit with a great non-fading bright red color. A consensus winner that will work well in all of the climates for which it was tested. Hardy Zone 5. Red, white center. Single (4-8 petals), cluster-flowered bloom form. Blooms in flushes throughout the season. Height of up to 5′ (up to 150 cm). Pink blend, white center. None / no fragrance. 5 petals. Average diameter 2.75″. 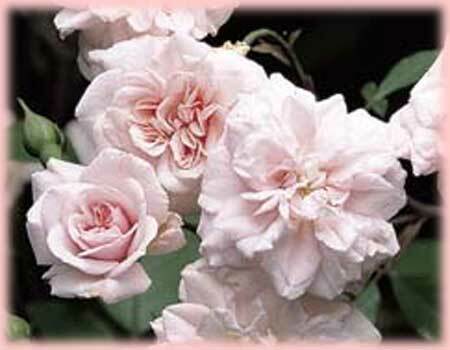 Medium, single (4-8 petals), borne mostly solitary, cluster-flowered, in small clusters, cupped-to-flat bloom form. Blooms in flushes throughout the season. Bushy. Medium, glossy, medium green foliage. Height of 28″ to 3′ (70 to 90 cm). Width of 39″ to 5′ (100 to 150 cm). 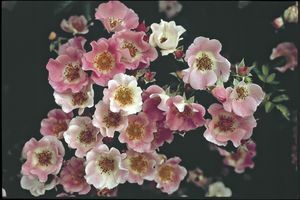 One of the best Shrub roses to come from the efforts of Dr. Griffith Buck–a man who dedicated his hybridizing toward achieving carefree roses that survive in cold climates. Large pleasant pink flowers always seem to grace the bushy full plant. The bright apple-green foliage is naturally disease resistant. And best of all,old man winter has to work overtime to do any damage. 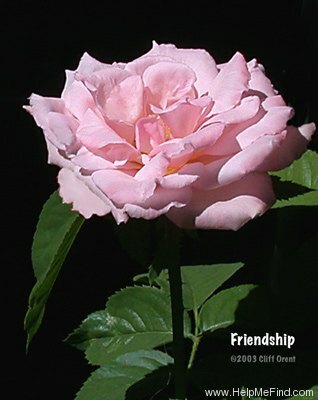 Pink, ages to light pink . Strong, sweet fragrance. 15 to 20 petals. Average diameter 4.5″. Large, semi-double to double, cupped-to-flat bloom form. Continuous (perpetual) bloom throughout the season. Large buds. Height of 4′ to 5′ (120 to 150 cm). Width of 4′ (120 cm). Apricot or apricot blend. 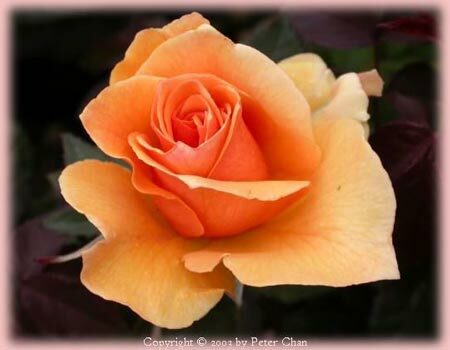 Deep Apricot. Mild, sweet, tea fragrance. 25 to 30 petals. Average diameter 5″. 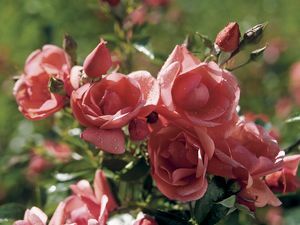 Large, full (26-40 petals), borne mostly solitary, cluster-flowered, in small clusters, high-centered to cupped bloom form. Prolific, continuous (perpetual) bloom throughout the season. Long sepals, pointed buds. Medium, armed with thorns / prickles, bushy, upright, well-branched. Large, semi-glossy, dark green, dense, leathery foliage. Height of 4′ to 6′ (120 to 185 cm). One of the best for repeat bloom, cleanliness & vigor. 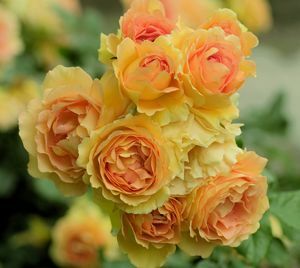 The spreading bushy plant yields big voluptuous blooms of blended yellow, apricot and pink. Glossy green clean leaves & rich fruity fragrance finsh the package. Abraham Darby has a spreading habit and wants plenty of room! 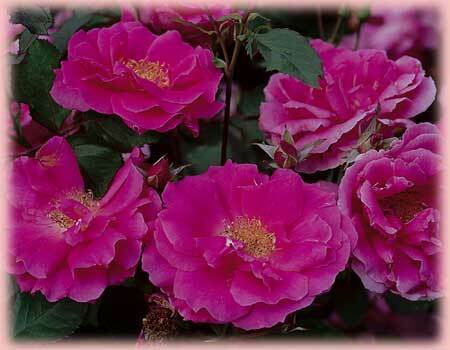 It can be used as a climber in milder climates. 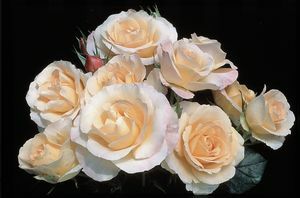 Apricot and light pink, lighter edges. Strong, fruity fragrance. 70 petals. Average diameter 5″. 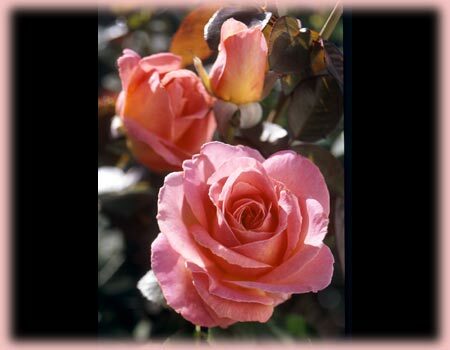 Large, very full (41+ petals), cluster-flowered, in small clusters, cupped, old-fashioned, quartered bloom form. Prolific, continuous (perpetual) bloom throughout the season. Large buds. Tall, arching, thornless (or almost). Medium, glossy, medium green, dense foliage. Height of 4′ to 10′ (120 to 305 cm). Width of 3′ to 5′ (90 to 150 cm). A topsy-turvy attention-getter, this bi-color medal-grabber makes your eyeballs salute ’cause the two colors are outside-in. Or is it inside-out? The lighter lasting golden-orange color is on the inside with a distinct darker bronzy-red outside. Yet it’s not just the flying colors that will cause a flap. It’s a turning point as a plant, too, with superb vigor, lush clean green leaves and loads of bloom. Orange, darker reverse. 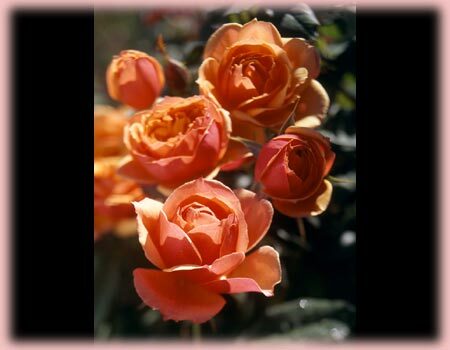 Flowers: Orange blend, deep orange-gold upper, burnished red reverse.. Mild to strong, apple, fruity fragrance. 26 to 30 petals. Average diameter 4″. 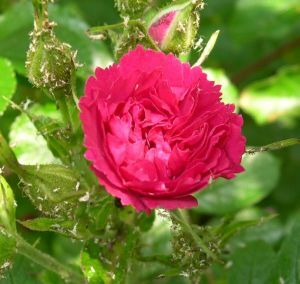 Medium, full (26-40 petals), borne mostly solitary, cluster-flowered, in small clusters, cupped, globular, old-fashioned bloom form. Blooms in flushes throughout the season. Pointed, ovoid buds. Tall, armed with thorns / prickles, upright, well-branched. Large, semi-glossy, dark green foliage. Height of 5′ to 6′ (150 to 185 cm). Pink. Spice fragrance. 21 petals. Blooms in flushes throughout the season. Height of 39″ to 5′ (100 to 150 cm). Pink. Mild fragrance. up to 18 petals. Average diameter 3.5″. 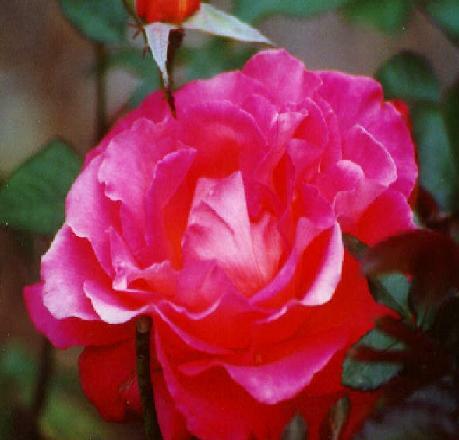 Double (17-25 petals), cluster-flowered, in small clusters, flat bloom form. Blooms in flushes throughout the season. Long, pointed buds. Height of 5′ (150 cm). Dark red. Strong, tea fragrance. 60 petals. Average diameter 7″. 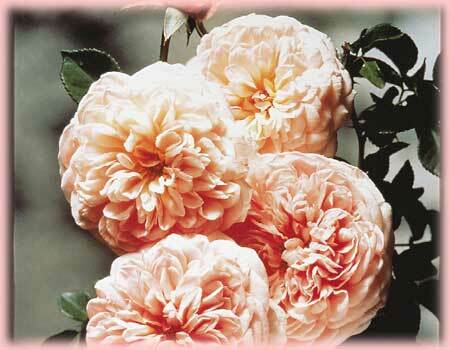 Large, very double, borne mostly solitary, cluster-flowered, in small clusters, cupped bloom form. Prolific, blooms in flushes throughout the season. Large buds. Upright. Large, dark green, leathery foliage. Height of 3′ to 5′ (90 to 165 cm). Width of 2′ to 4′ (60 to 120 cm). White or white blend, pink edges. Mild fragrance. 22 to 30 petals. Large bloom form. Blooms in flushes throughout the season. Height of 42″ to 4′ (105 to 120 cm). Width of 2′ to 30″ (60 to 75 cm). Red. None to mild fragrance. up to 35 petals. Average diameter 4.75″. Large, very double bloom form. Occasional repeat later in the season. Height of 3′ to 4′ 11″ (90 to 150 cm). Width of up to 26″ (up to 65 cm). White or white blend, pink edges. 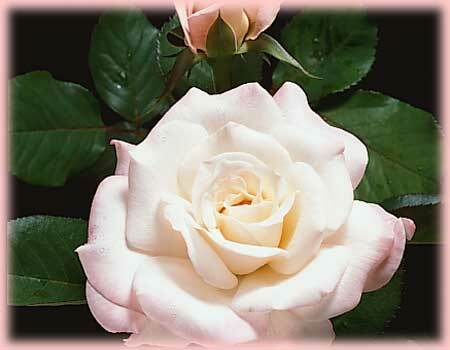 White with a soft pink petal edge. Mild fragrance. 35 petals. Large, full (26-40 petals), borne mostly solitary, cluster-flowered, in small clusters, high-centered to cupped bloom form. Blooms in flushes throughout the season. Orange-pink. Mild fragrance. 30 to 35 petals. Average diameter 3.75″. 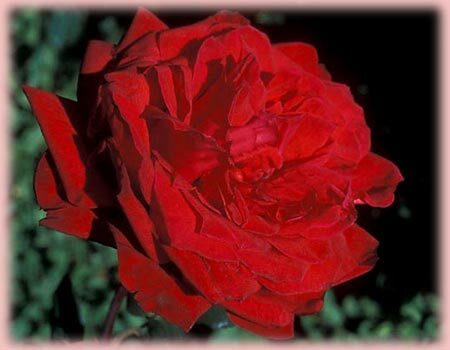 Medium-large, full (26-40 petals), cluster-flowered, in small clusters, high-centered bloom form. Blooms in flushes throughout the season. Medium, compact. Semi-glossy, leathery foliage. Height of 30″ to 5′ (75 to 150 cm). Width of 2′ to 4′ (60 to 120 cm). Scarlet and yellow. Flowers brilliant luminous light scarlet, suffused with yellow at base. Mild fragrance. Full (26-40 petals), borne mostly solitary, exhibition bloom form. Blooms in flushes throughout the season. Apricot or apricot blend. Mild, fruity, licorice fragrance. 35 to 40 petals. Average diameter 7″. Large, old-fashioned bloom form. Blooms in flushes throughout the season. Height of 4′ to 5′ (135 to 165 cm). Width of up to 4′ (up to 120 cm). Pink blend. Blooms in flushes throughout the season. Height of 3′ to 42″ (90 to 105 cm). Orange-pink. 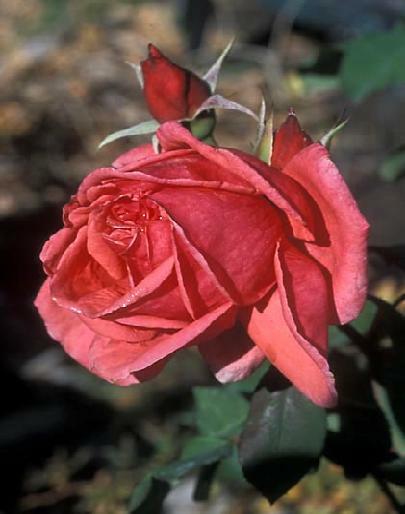 Moderate, rose fragrance. 8 to 14 petals. Average diameter 4.5″. 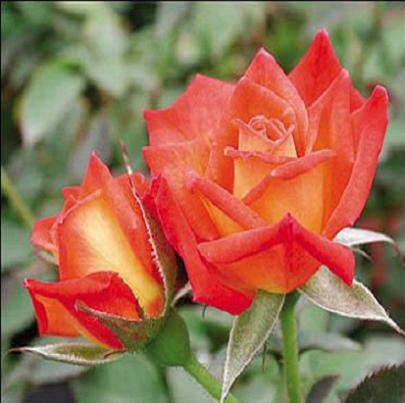 Medium to large, semi-double (9-16 petals), cluster-flowered, in large clusters bloom form. Prolific, continuous (perpetual) bloom throughout the season. Medium, bushy, dense, upright. Glossy, dark green foliage. Height of 3′ (90 cm). (PPAF) Milk chocolate and lavender? You have to see it to believe it! It’s hard to imagine a milky chocolate-colored bud maturing to a solid soft lavender blossom. The transition is so unusual and actually quite beautiful. The chocolate is creamy, like latte, but the latte goes ‘loco’ and finishes fully lavender. 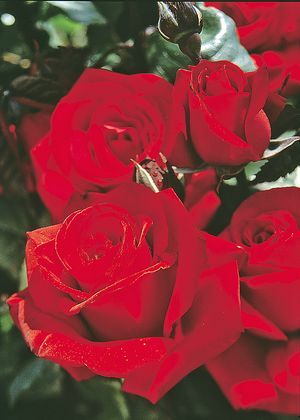 The blooms have impeccable show form and are long-lasting on the plant and in the vase. Rounded, bushy plants are chock full of deep green leaves that stay clean and healthy. Beyond its novelty, this is a great plant! 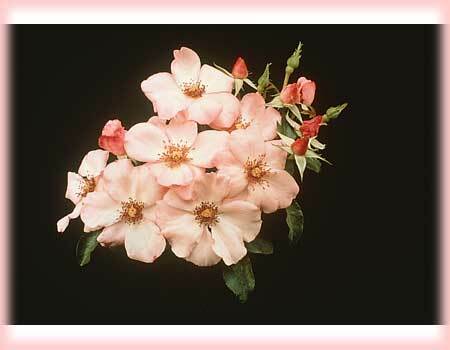 Flower Size: 3-1/2 to 4-1/2″. Fragrance: Mild. Hybridizer: Bedard, 2012. Milky chocolate suffusing to unusual lavender. Mild fragrance. 30 to 35 petals. Average diameter 4.5″. 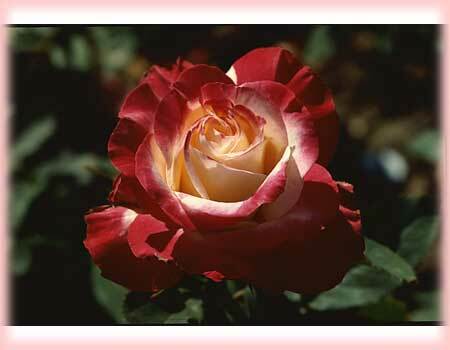 Medium-large, full (26-40 petals), cluster-flowered, in small clusters, classic hybrid tea, high-centered bloom form. Prolific, blooms in flushes throughout the season. Long, pointed buds. Medium, bushy, rounded. Medium, semi-glossy, medium green foliage. Height of 30″ to 35″ (75 to 90 cm). Dark red. Mild fragrance. 30 to 40 petals. Average diameter 4.75″. Large, full (26-40 petals), high-centered bloom form. Blooms in flushes throughout the season. Upright, well-branched. Medium, semi-glossy, dark green foliage. Height of 2′ to 39″ (60 to 100 cm). Width of 2′ to 26″ (60 to 65 cm). Orange or orange-red. Mild fragrance. 20 to 25 petals. Average diameter 3.5″. Medium, flat bloom form. Continuous (perpetual) bloom throughout the season. Yellow blend. Yellow-orange blend changing to yellow-pink, fading to pink and white blend. Mild fragrance. 26 to 40 petals. Average diameter 1.5″. Full (26-40 petals) bloom form. Blooms in flushes throughout the season. Height of 18″ to 30″ (45 to 75 cm). Red. None to mild fragrance. 25 to 30 petals. Average diameter 1.25″. Small, very double, in small clusters, open bloom form. Occasional repeat later in the season. Height of 4′ 11″ to 6′ 7″ (150 to 200 cm). Width of up to 4′ (up to 120 cm). Red blend. Spice fragrance. 30 petals. Blooms in flushes throughout the season. Deep pink. Strong fragrance. 28 petals. Average diameter 6″. Blooms in flushes throughout the season. Height of 5′ to 7′ (150 to 215 cm). Light pink. Mild, fruity, spice fragrance. 5 to 6 petals. Average diameter 4″. Single (4-8 petals) bloom form. Occasional repeat later in the season. Height of 2′ to 47″ (60 to 120 cm). Width of 28″ to 31″ (70 to 80 cm). Apricot or apricot blend. Moderate, spice fragrance. 30 to 35 petals. Average diameter 3.25″. 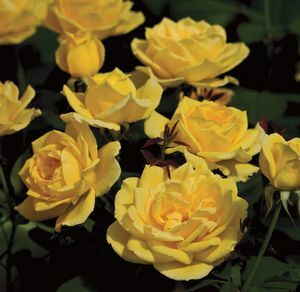 Medium to large, full (26-40 petals), cluster-flowered, in small clusters bloom form. 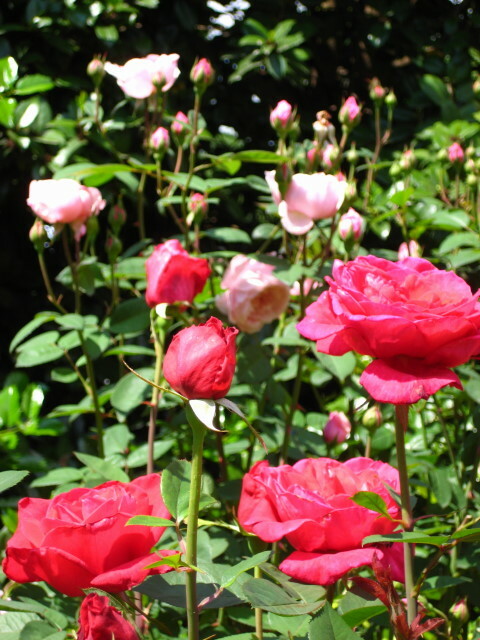 Prolific, blooms in flushes throughout the season. Pointed, ovoid buds. Height of 42″ (105 cm). Width of 3′ (90 cm).